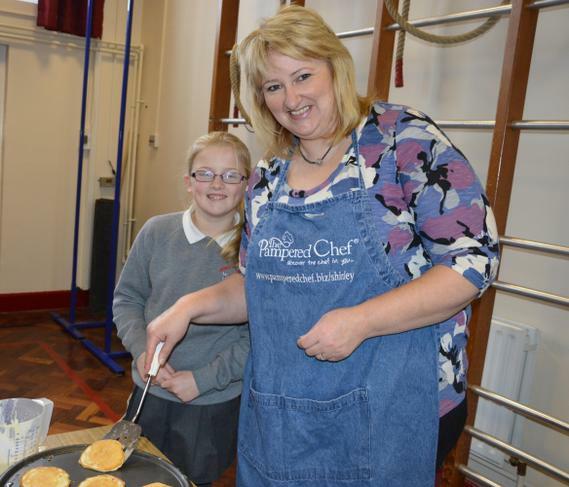 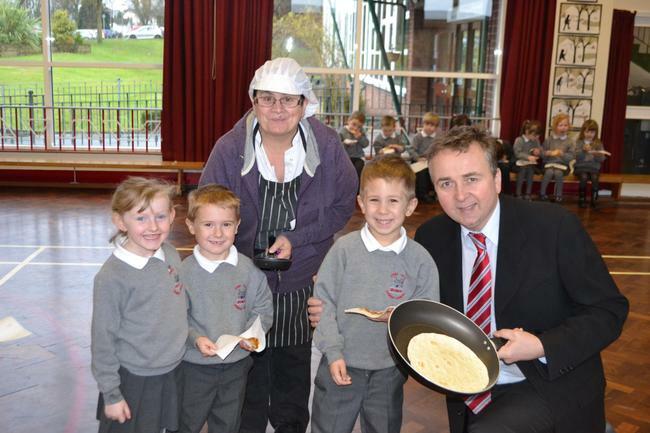 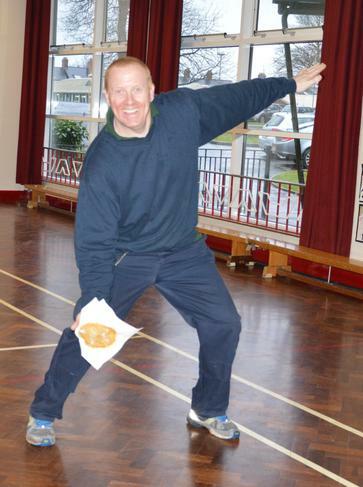 Mr Clive Anderson, Mrs Karen Brown cook at the Fort Hill Integrated campus tossing pancakes with some P1 pupils. 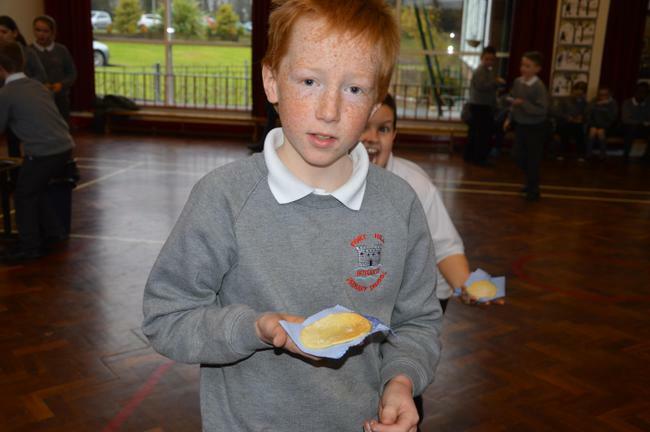 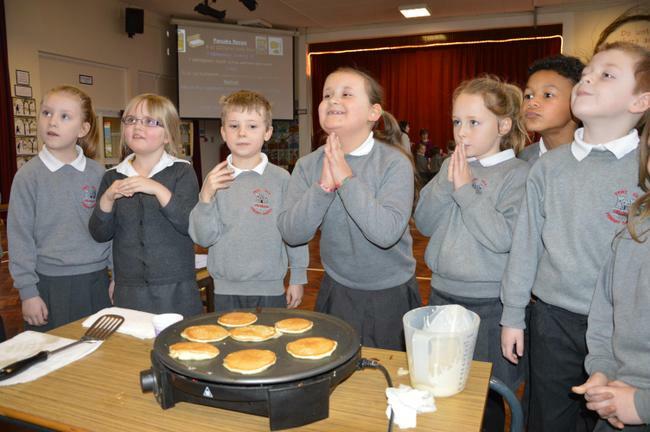 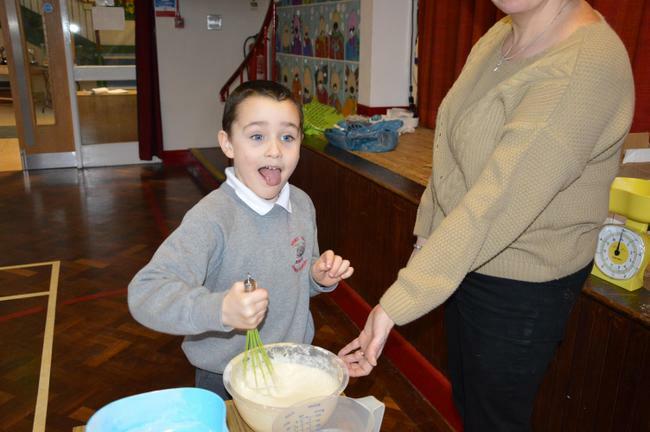 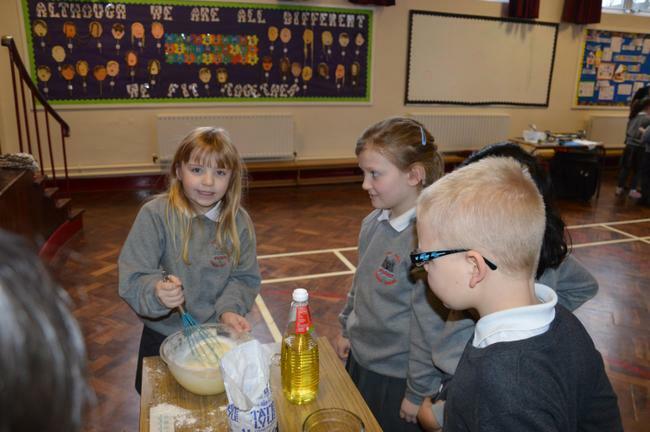 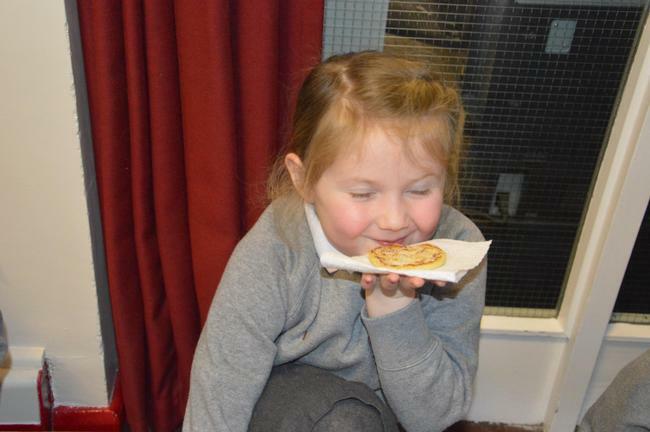 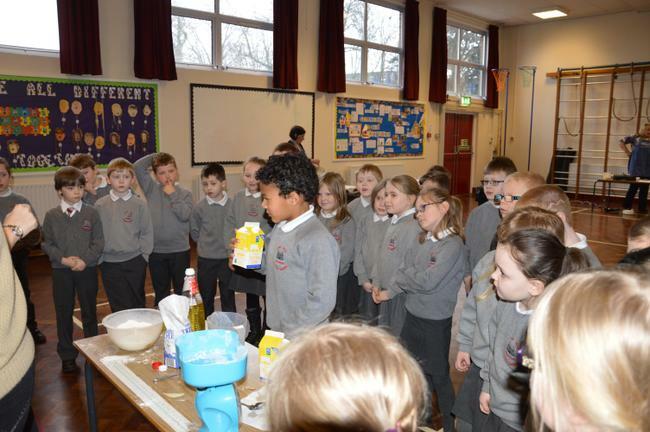 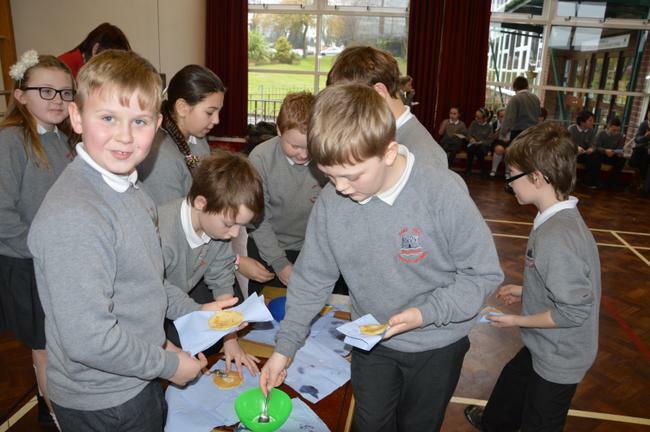 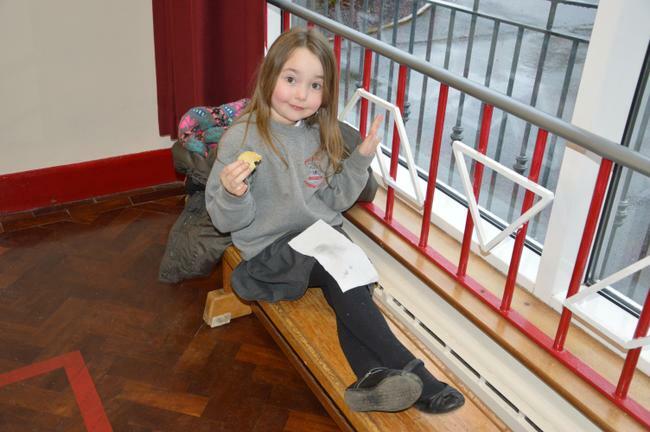 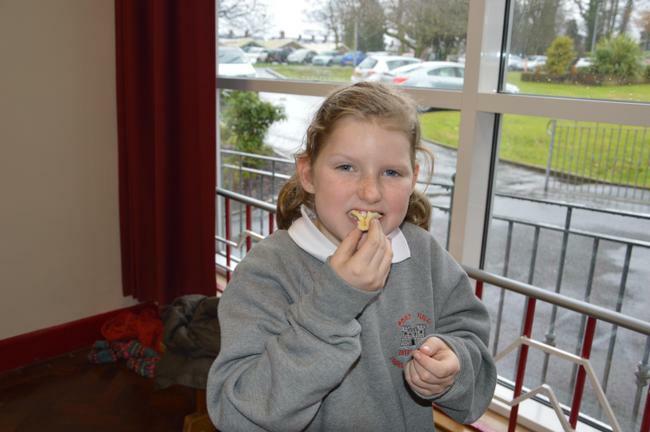 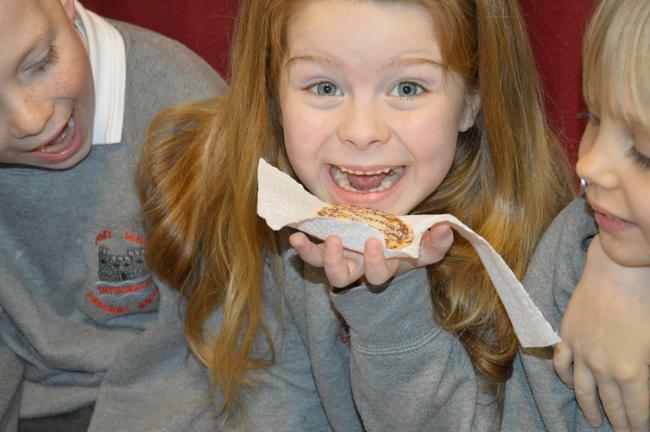 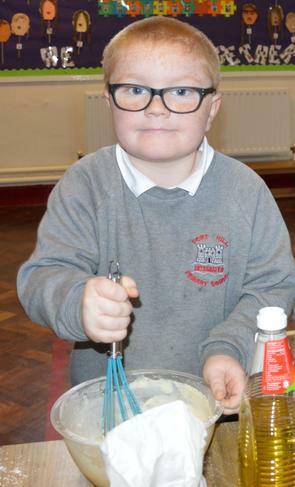 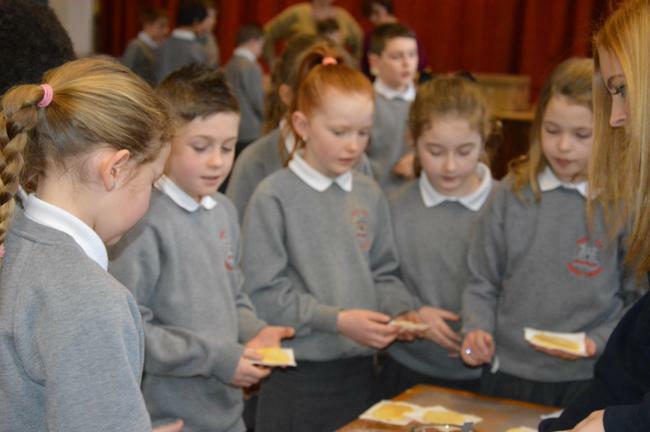 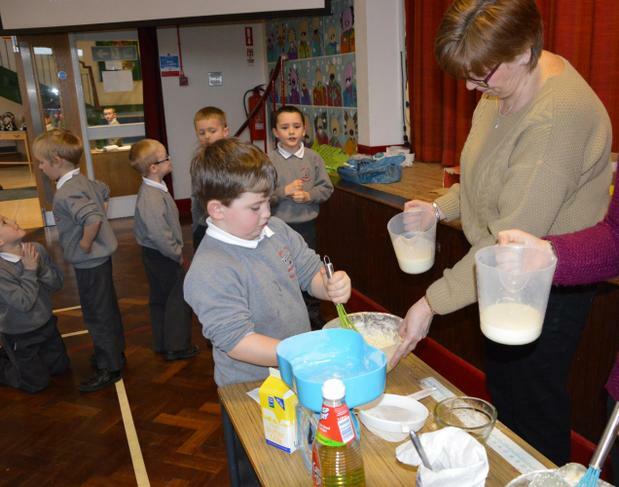 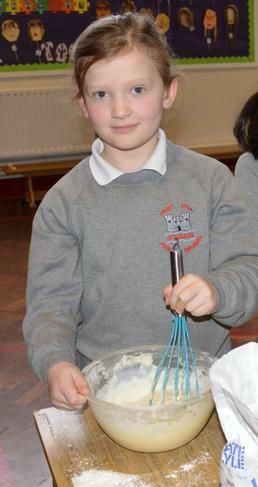 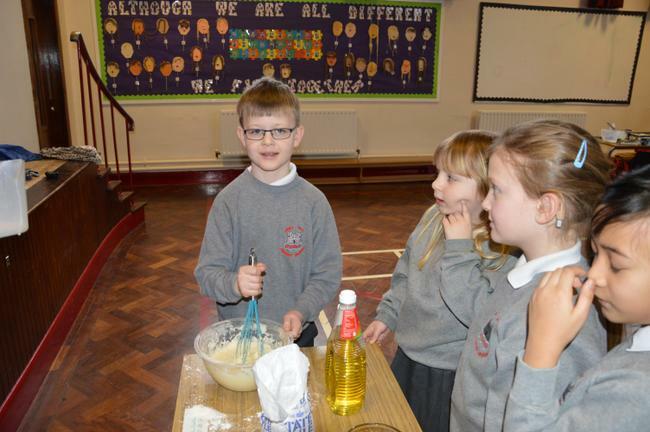 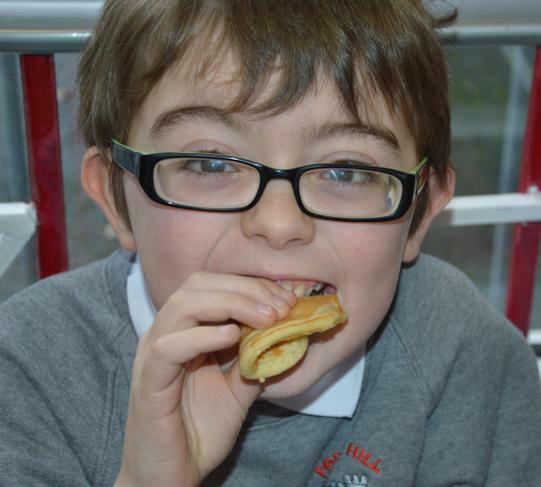 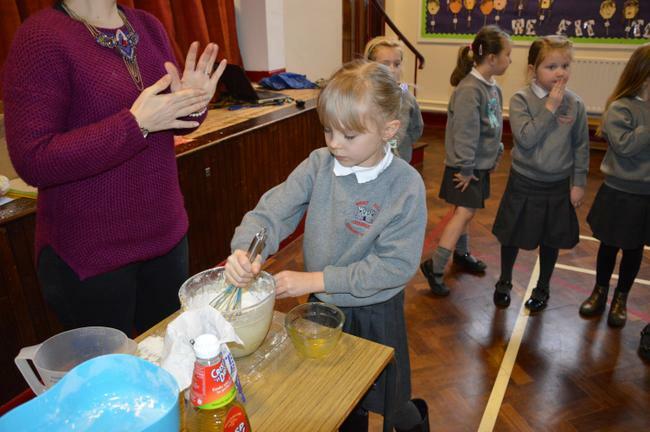 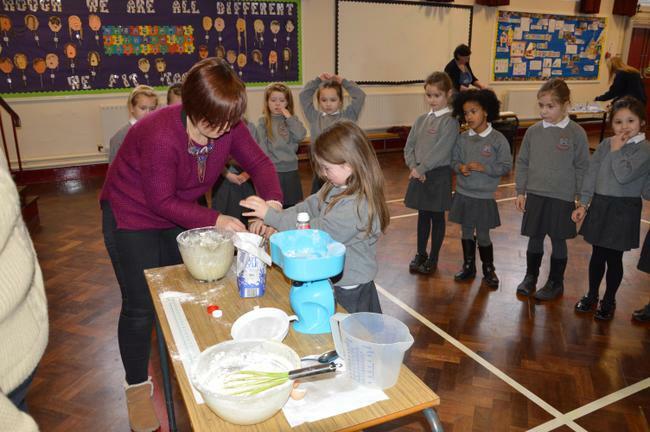 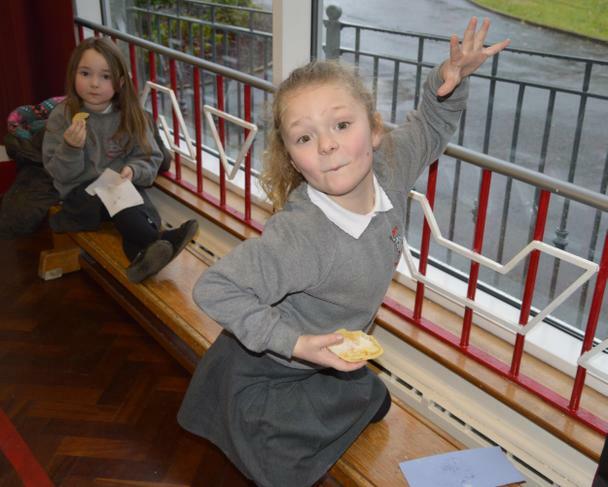 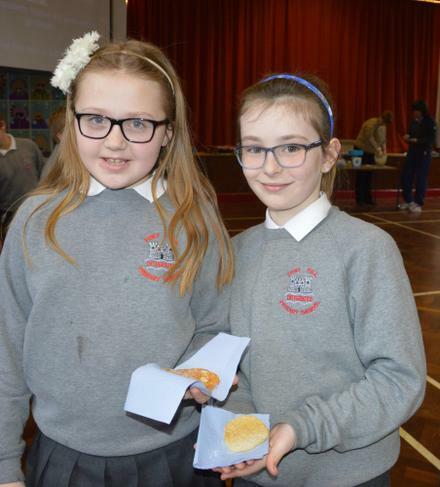 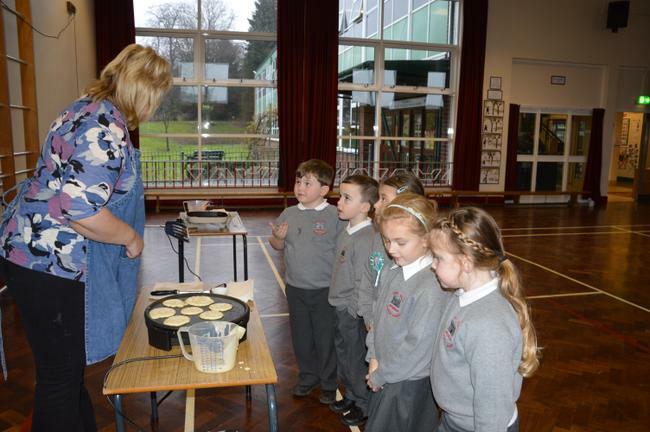 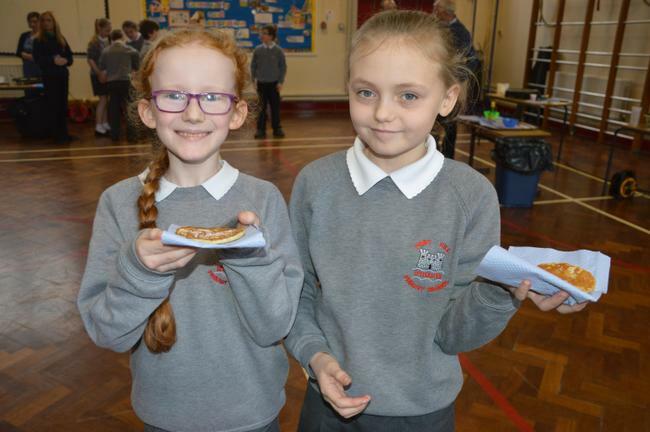 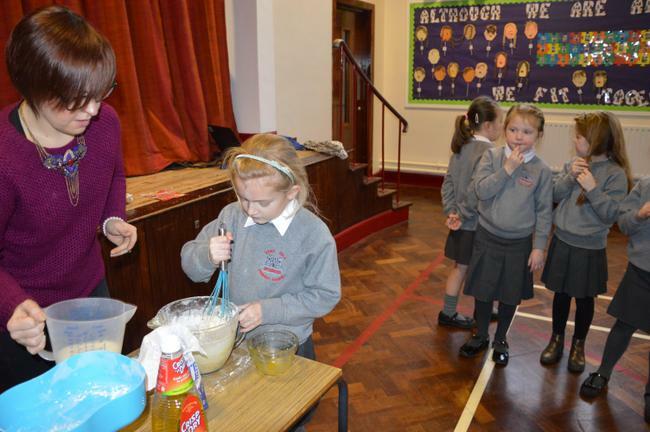 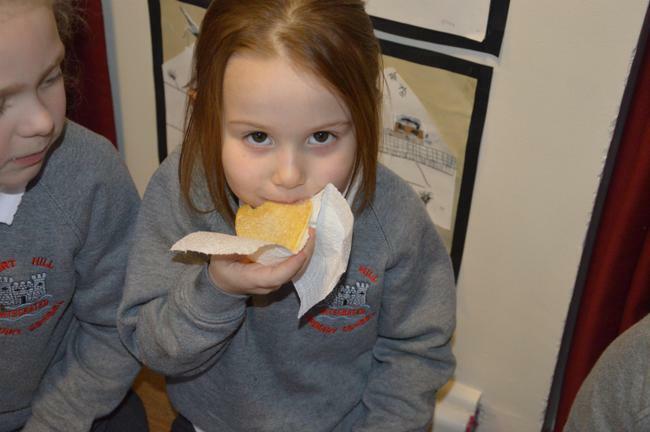 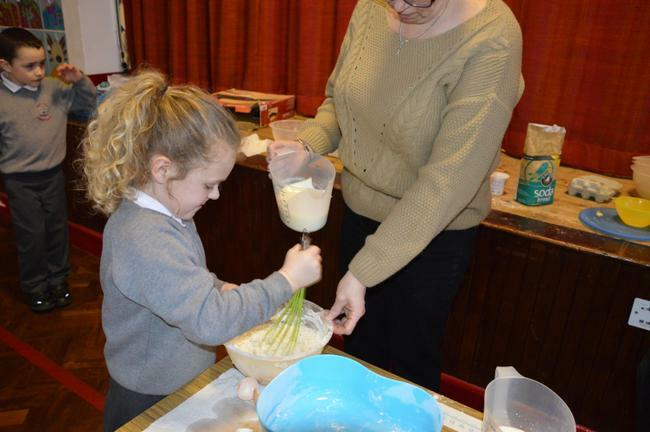 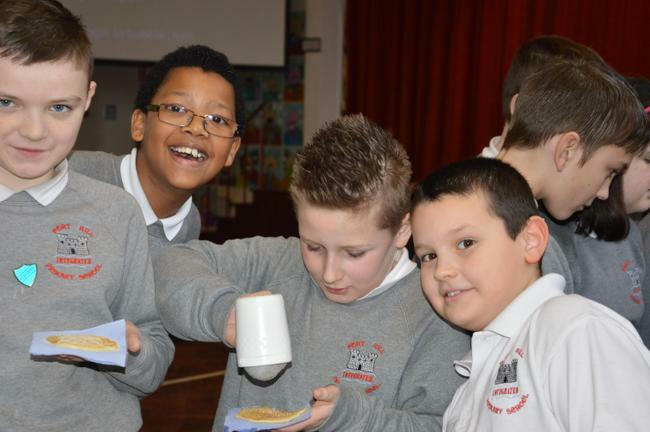 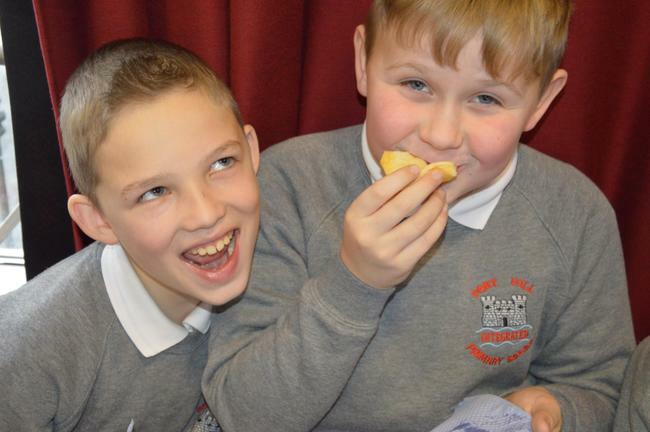 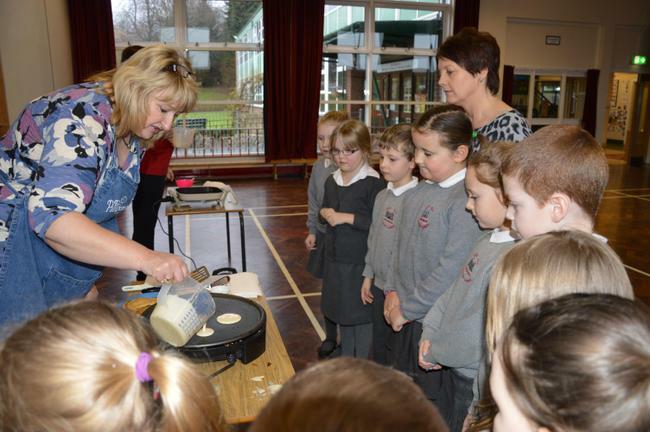 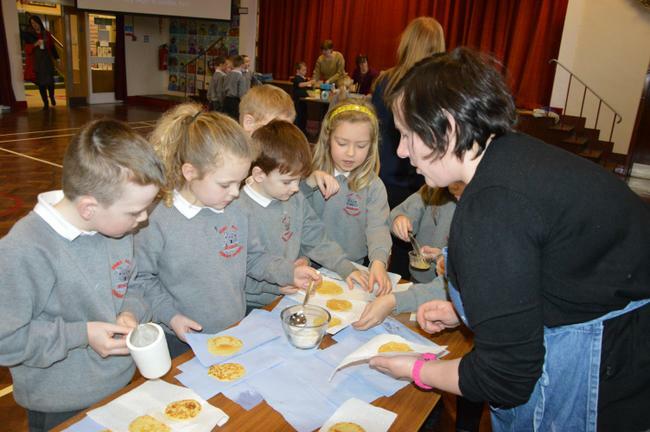 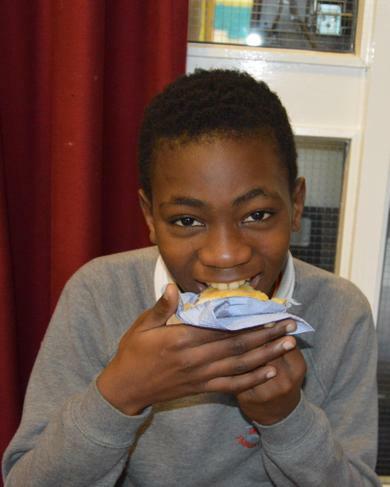 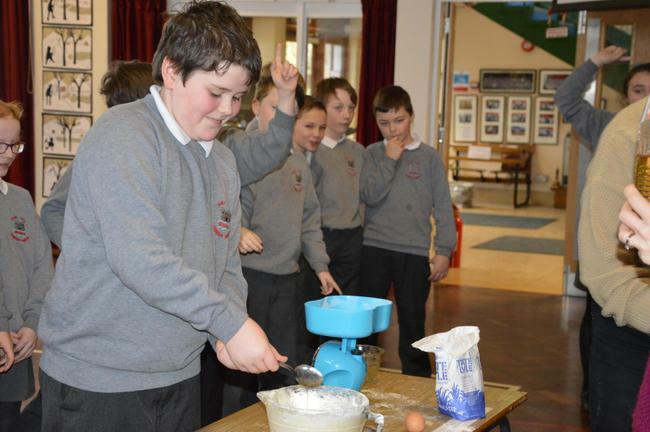 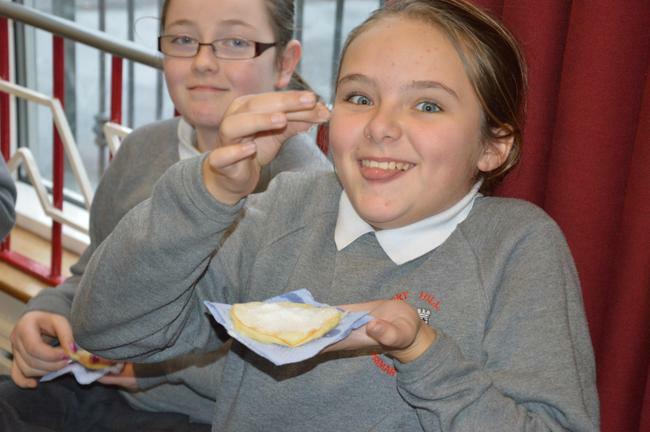 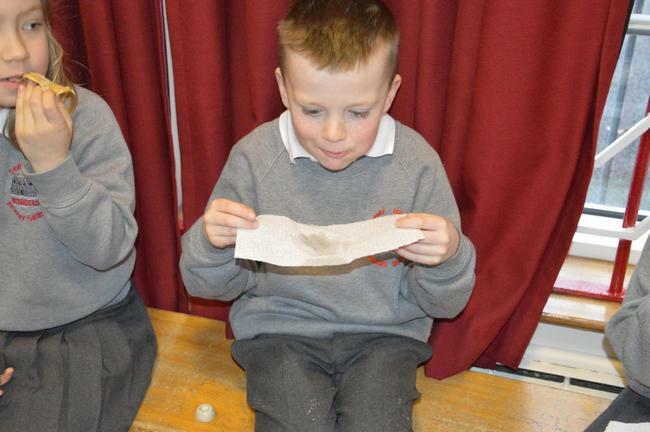 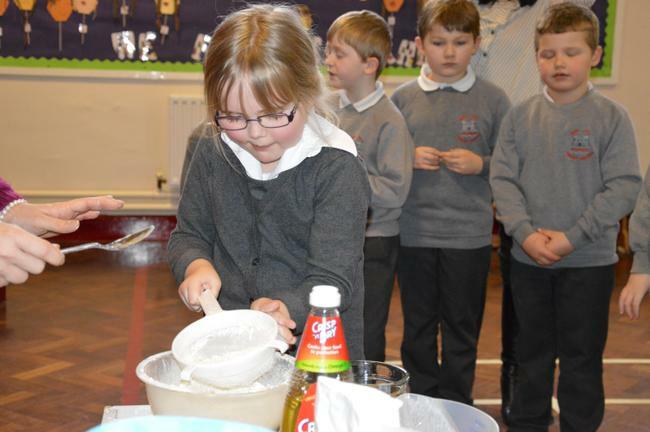 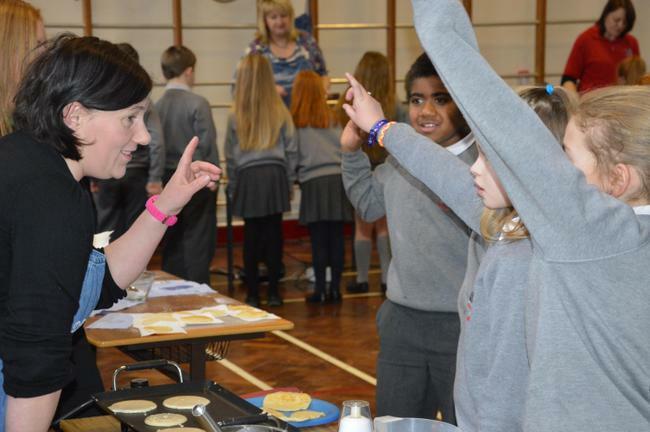 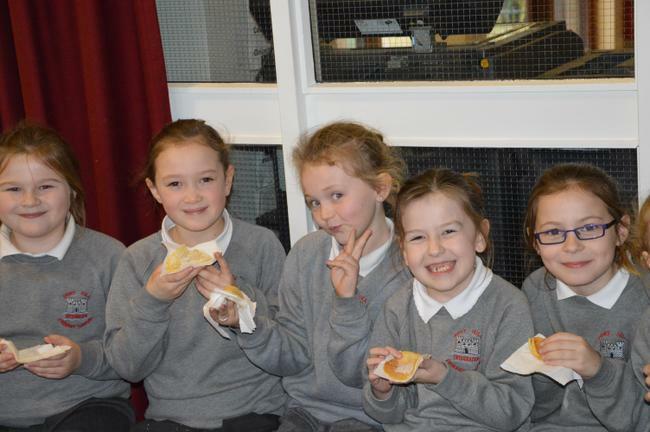 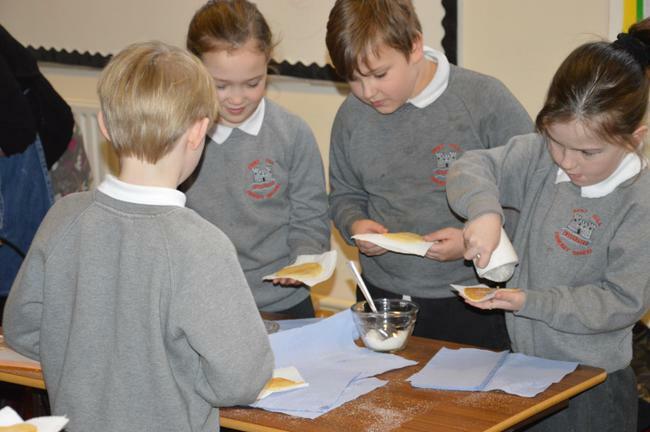 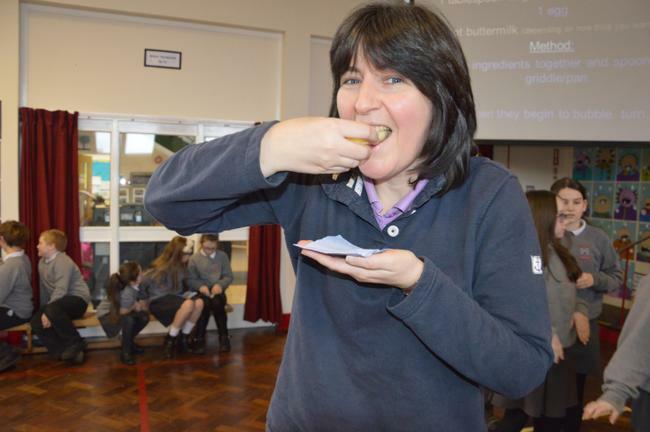 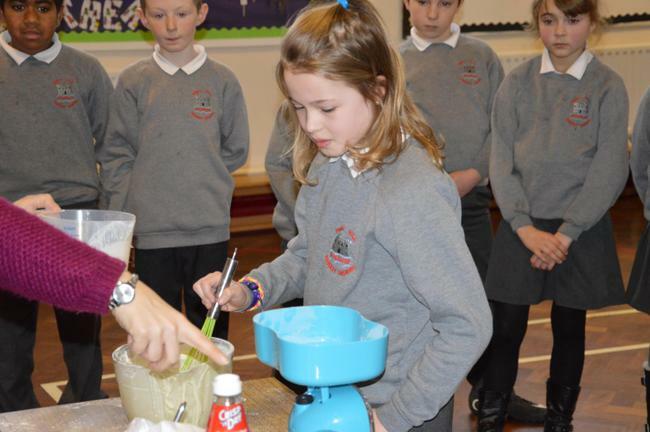 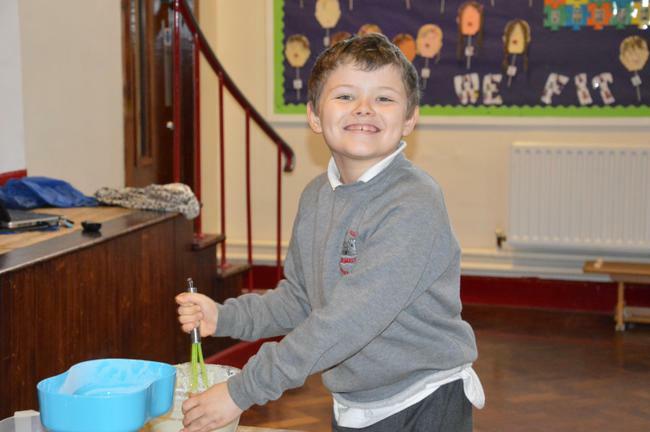 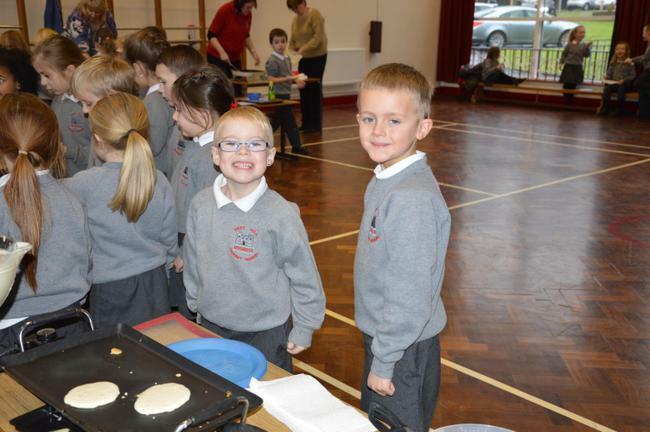 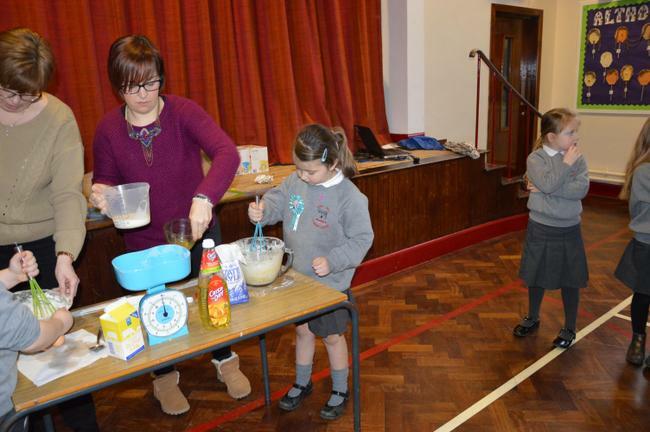 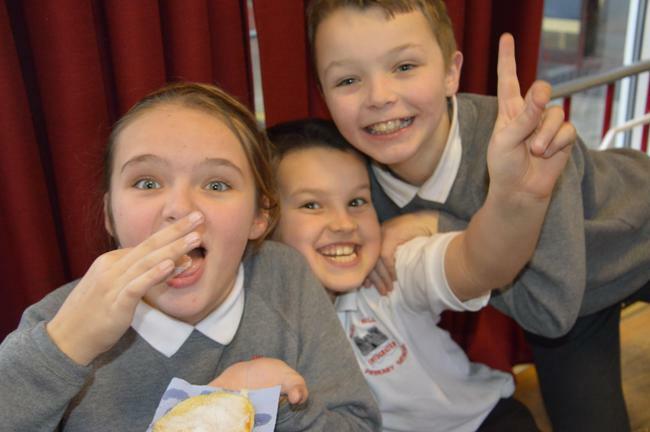 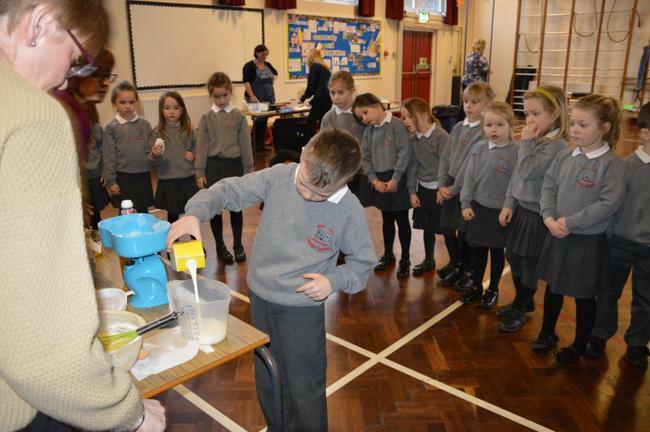 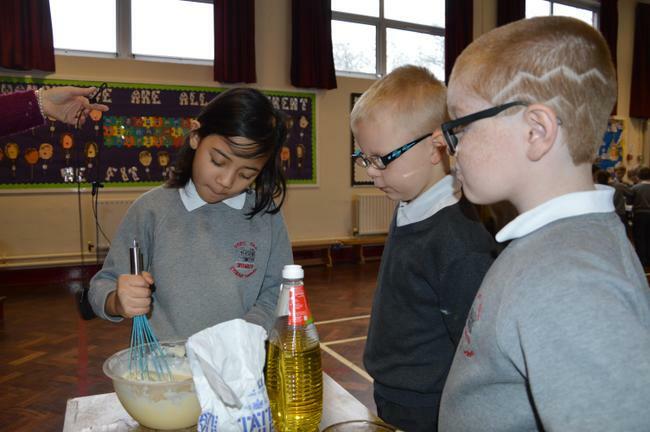 As has become a tradition at Fort Hill all the Fort Hill pupils had special assembly to celebrate Shrove Tuesday and the beginning of Lent .Then each child from Nursery to P7 enjoyed learning how to cook...and taste some delicious pancakes! 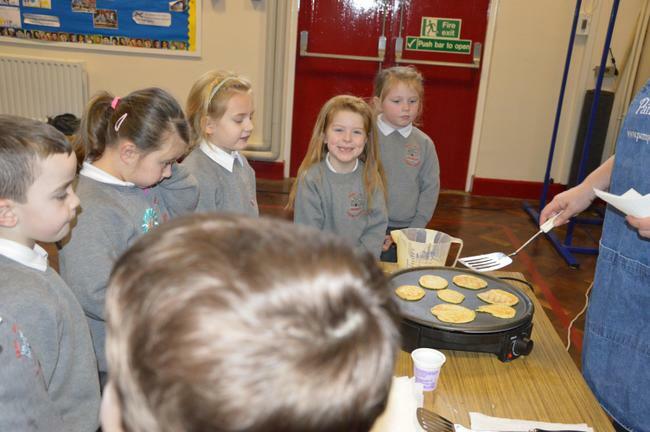 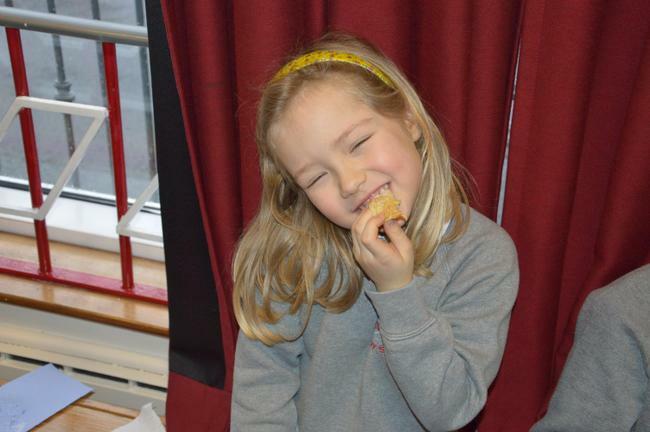 The Nursery pupils even taught the rest of the school a special pancake song!